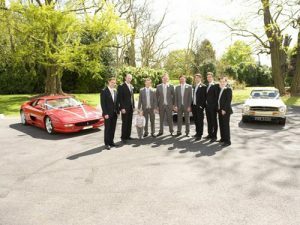 Grooms Cars is a small family business. Serving Essex, London and Kent, we have a large selection of cars that are owned by us and have all been handpicked by us personally. We feel it’s important that we have a range of high class sports and luxurious chauffeur driven cars, and that’s why we’re proud to boast the largest selection of sports cars to hire in Essex. Our driver will transport you to your required destination safely and in comfort, and we promise that our affordable prices will meet with every budget. We can also provide customised number plates for the cars, although these will only be for show (photography) purposes and the car should not be driven on the road with them. 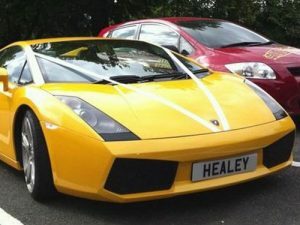 We can get the bride and groom’s initials or names printed, or if the bride and groom have separate cars, then each car can have their names. If the car is to be hired by a friend or relative (for example the father of the bride), then they could have their names printed instead. The possibilities are endless!